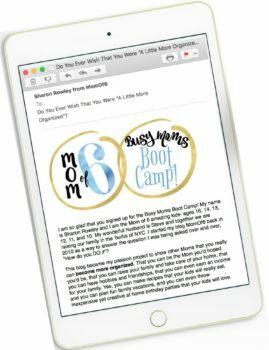 With all that Moms juggle- kids activity schedules, doctors appointments, birthdays and holidays, not to mention an absolutely endless to-do list, it can be completely overwhelming to keep track of and manage it all! Which is why I feel strongly that all Moms need some sort of a family calendar that works for them if they truly want to get organized! And there is no one-size-fits-all solution. 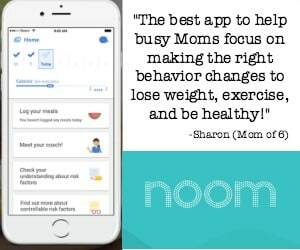 Some Moms prefer an electronic calendar that syncs with their smartphone and tablet and even offers the ability to print a copy of their daily, weekly or monthly schedules. 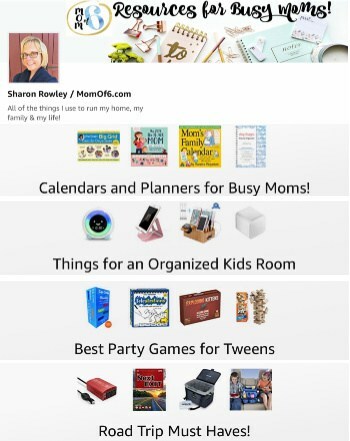 Some Moms want all of that in a family calendar app. Some Moms prefer an old-fashioned paper-based calendar that they can hang on their kitchen wall and write in all of the appointments and holidays. And some Moms like the kind of calendar that is portable that she can carry around in her purse. There's no doubt about it- if you can look at your family calendar and view the week ahead to see that on Tuesday you need to bake cupcakes for your daughter's class, on Thursday your 4th grader needs to hand in his science project, and on Friday you signed up to chaperone the class field trip to the art museum- you will approach this week with all of the information that you need to conquer these tasks with grace! No rushing to the bakery on Tuesday morning in a panic when you realize that you are supposed to send in the cupcakes- no staying up until 10pm on Wednesday night with a sobbing 4th grader trying to figure out how to make crystals grow, and no getting that phone call from your child's teacher on Friday morning wondering why you aren't at the art museum. If you use a family calendar and are diligent about writing down all commitments and all appointments and faithfully use it to manage your schedule- you can totally be the Mom who is at the top of her game. 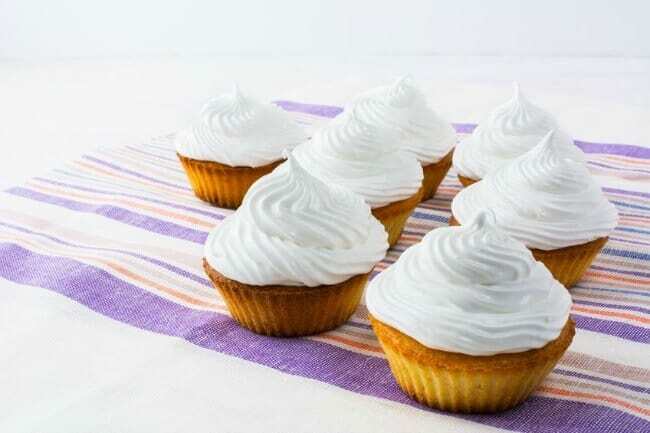 The one that never misses her child's dentist appointment or the school bake sale- the kind of Mom who shows up on time and is prepared for whatever the event calls for. Sounds kinda dreamy, doesn't it? The number of activity schedules my family receives is insane. I have 3 kids who have separate soccer schedules for weekly practices and games, 5 kids who are each taking an after-school “fun” class that meets on two separate days of the week, 1 child in horseback riding, 1 in gymnastics, and 2 in ice skating. 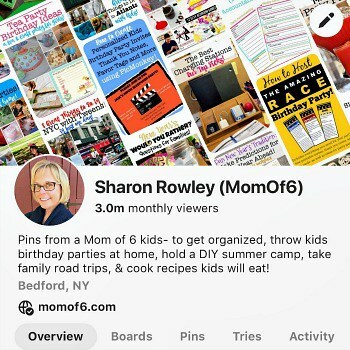 Each of these activities has a separate schedule of start and end dates and associated reminders that go along with each activity- remember to sign up for the next session, remember to car pool with this Mom or be the “parent in charge” for that practice. And that's just activities! Add to that family birthdays, doctors and dentist appointments, book clubs, and the occasional business meeting, and there is A LOT to keep track of. Simply printing the various schedules and pinning them to our bulletin board in the kitchen is not going to help me stay on top of it all. 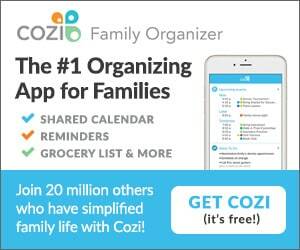 Which is why each and every item gets entered in the family calendar along with any little reminders or details. Because if I take the time to do this for EVERY SINGLE appointment or commitment, I know that I only need to look in ONE PLACE to find out everything I need to know to manage my family's schedule. Having all of your family commitments recorded in just one place allows everyone in the family to know exactly where to go to find out information on the family schedule for the day or for the week. If you keep your family calendar in electronic form- you can even sync the calendar with other family members' smartphones and tablets. If you keep a paper wall calendar, as long as it can be found hanging in the same place every day and it contains all commitments and appointments, every family member will know that the wall calendar is the go-to place for that important information. If you are dedicated to using your family calendar you can schedule in blocks of time for regular housekeeping chores, time for exercise, etc. Having those items scheduled on my calendar assigned to a definite block of time greatly increases the likelihood that I will actually do them! And the bonus to scheduling all of my regular weekly tasks is that it easily allows me to pinpoint exactly where I have “openings in my schedule” to work on some of the items that live on my never-ending “to-do” list! Many electronic calendars also have a “task list” feature where you can record the items on your to-do list and have both your appointments and your to-do list together in one spot. 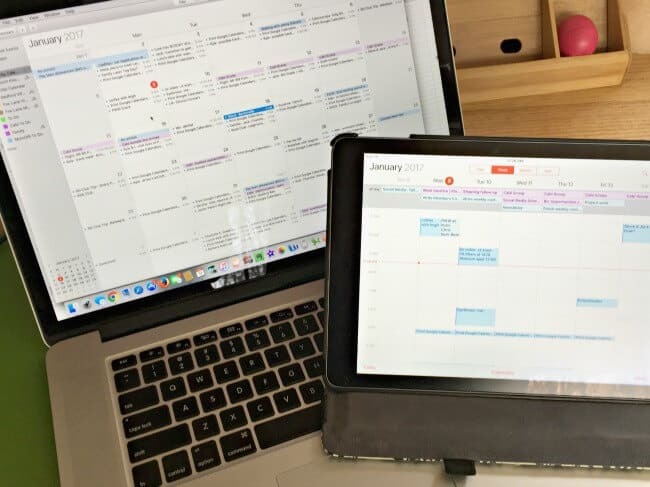 I would love to hear from you- how successful are you in using a family calendar to keep track of all of your family's appointments and commitment in one spot? Do you have a system that you love or are you still searching for the one that is right for you? « Fun Things to Do in New Smyrna Beach- A Perfect Family Destination! 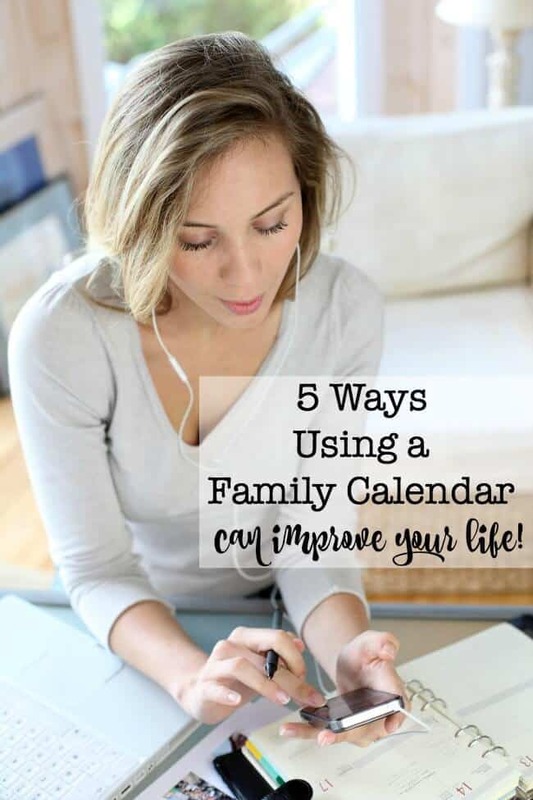 Gosh yes, family calendars are real lifesavers! Jeanette it was so great to meet you too yesterday, and I am really glad that you stopped by the blog! I will be talking about different kinds of family calendars later this week… so maybe that will inspire you to choose one that works for you!